Summary: Life is quiet and ordinary in Amal’s Pakistani village, but she had no complaints, and besides, she’s busy pursuing her dream of becoming a teacher one day. Her dreams are temporarily dashed when–as the eldest daughter–she must stay home from school to take care of her siblings. Amal is upset, but she doesn’t lose hope and finds ways to continue learning. Then the unimaginable happens–after an accidental run-in with the son of her village’s corrupt landlord, Amal must work as his family’s servant to pay off her own family’s debt. Review: Amal Unbound is a gorgeous story in spite of the ugliness of the circumstances. Amal’s dream of being a teacher is crushed in mere moments and it’s hard for her to maintain hope in the face of this blow. When Amal initially enters into indentured servitude she’s shocked and dismayed, but she believes it is only temporary. Once she realizes that her family may never get out of debt, she begins to accept that her life has forever been changed and she may remain in servitude forever. This is when her hope fades. Amal’s father has said more than once that life is not fair. Amal comes face to face with this reality over and over again. The beauty of this book is that Amal shows strength, courage, and wisdom as she adjusts to her new life and looks for ways to survive and even grow. She blooms where she is planted. This is the exact moment to look at the cover illustration. It manages to show the blooming, struggles, and hope. In the author’s note, Saeed explains that there are many girls around the world doing brave things we never hear about. She hopes this book shines a light on brave girls everywhere. I believe it could be inspirational for anyone. It’s a book that encourages readers to do what they can to make the world a better place whether in big or small ways even if it’s a little scary. Recommendation: Buy it now. Amal is someone you will want to meet. She will touch your heart and maybe even inspire you to improve your corner of the world. 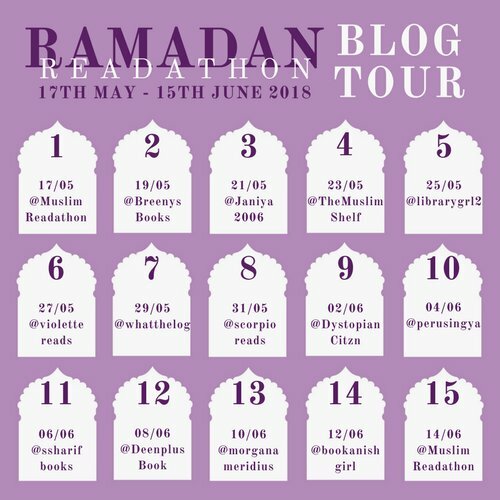 Be sure to visit more of the stops on the Ramadan Readathon Blog Tour. You may follow @MuslimReadathon for updates and use the tag #RamadanReadathon to share your reading and/or recommendations. Wonderful review, Crystal! I have this on on my tbr and I’m looking forward to reading it. I hope this book will inspire younger readers that change and hope is possible even during the darkest and hardest times. Thanks Rummanah! I reset the giveaway, so if you weren’t able to participate initially, it is now open. Thanks for reading! Amal Abound appeals to me because of the fascinating premise that I feel like is not explored often in middle grade literature! “What makes Amal Unbound appealing to you?” The gorgeous cover and Pakistani setting–I’m always curious about that part of the world! This is on my list already, but if it wasn’t, it sure would be after reading this. I love this cover! On my list, would be great to win a copy, but I’ll get and read it somehow. Thanks, Crystal! Didn’t see that I was to share the appeal. I want to read all about this topic that I can, and then share with others. Excellent review, Crystal! I absolutely loved Amal Unbound. Thank you for sharing the opportunity to win a copy. This is such an important and meaningful book!! I wanted to come back to add that what I loved most about Amal Unbound is that she had such a sweet voice, but also showed severe strength in terrible circumstances. It’s important for kids to know that, no matter their experiences, they can still carefully access their circumstances and use their voice to speak out when necessary. 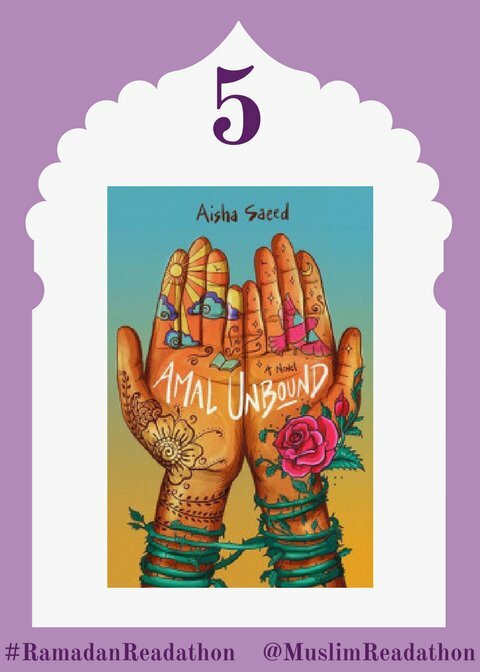 Amal Unbound is important for #ownvoices, bridging an obvious divide. I just love that this little book speaks of oppression in such a way that even the most privileged of readers can connect with Amal. Thanks again for sharing!